Over 40+ custom design projects a year. Turn your concept into manufacturable products. 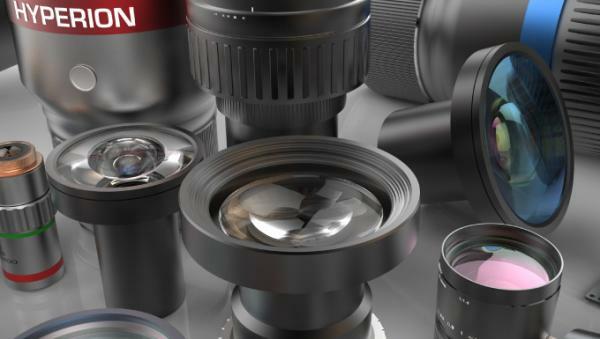 Feasible lens assembly service, from UV to LWIR applications with full support from our precision components manufacturing capability. Excellent precision and quality control, rapid lead time and competitive pricing. Precision lens/Dome/Window/DOE elements with various IR materials available. 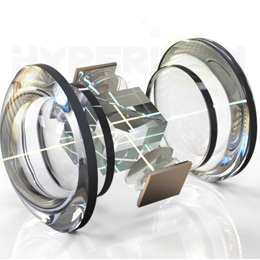 Hyperion Optics’ cylindrical components have been widely used for laser based applications with reliable optical performance and durability. 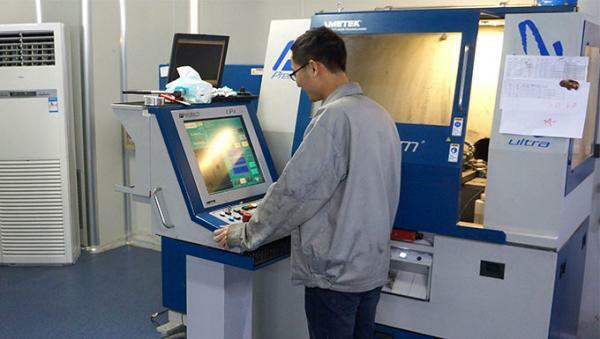 We are able to provide Zygo report of all cylindrical surfaces we produce, and intensive measurement can be met upon customer’s request, such as optical axis deviation. Hyperion Optics' manufacturing equipment expand our aspherical products’ deliverability to LWIR applications, from high precision VIS imaging systems to infrared athermal lenses, we are able to process on optical glasses and infrared materials such as Germanium, Zinc Sulfide, Zinc Selenide, Calcium Fluoride, Chacolgenide glasses etc. We work on a wide range of infrared materials that covers almost full infrared spectrum. 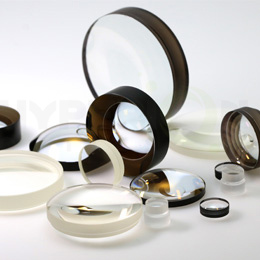 Hyperion Optics supplies Zinc Selenide, Zinc Sulfide, Silicon, Germanium, Gallium Arsenide, and Calcium Fluoride, Barium Fluoride as well as Chalcogenide spherical lenses and aspherical lenses. 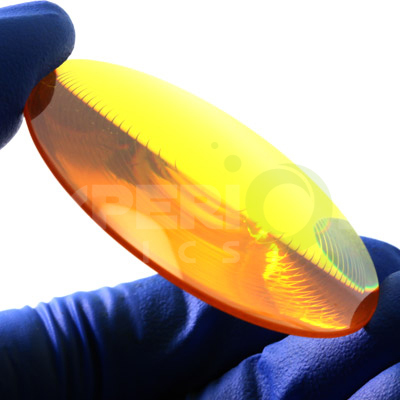 Hyperion Optics provides low volume lenses manufacturing, starts from 5 sets, including achromatic doublet and triplet, our volume manufacturing cost is so affordable that will make your products outstanding in the markets with premium quality. 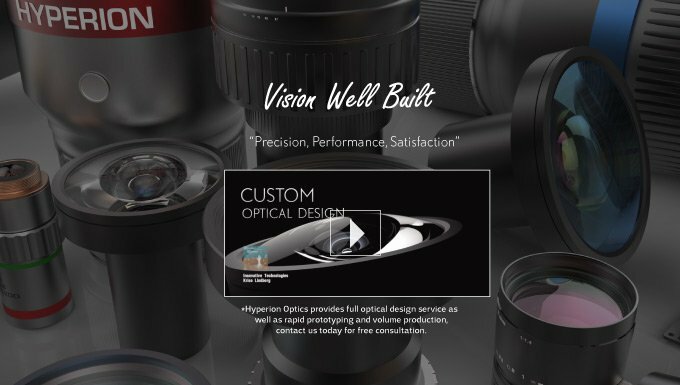 Hyperion Optics always believes in the concept of bringing “Precision, Performance, Satisfaction, Cost-wise products” to our customers to meet the expected procurement experience. We are not simply manufacturing components and lenses, but delivering a comfort and worry-free user experience with outstanding quality assurance promise to you. Enjoy the commercial and get an idea what we can help you with. 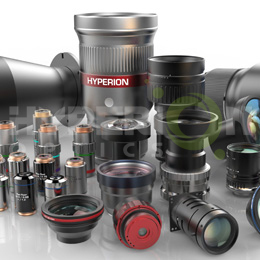 Hyperion Optics is a leading optics supplier of photonics products including optical components, lens systems and opto-mechanical assemblies in UV, Visible,NIR, SWIR applications. Our clients spanning across defense, security, bioengineering, pharmaceutical, institutional, industrial and research industries worldwide. 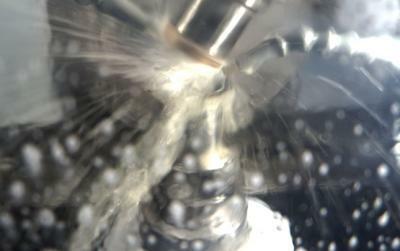 We specialize in DFM (Design for Manufacturing) input from rapid prototyping to volume production. 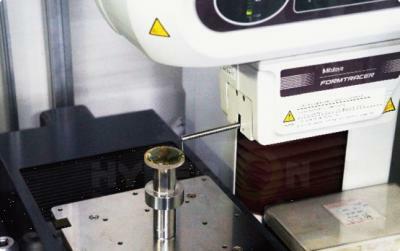 Our comprehensive metrology coupled with our cost-effective philosophy help Hyperion customers obtain a competitive edge in the global market. Compared to other Chinese vendors, Hyperion has the most experienced engineering team to provide technical backups and consultation for our customer with multi-languages skills, seamless communication is also an advantage. Free consultation for your optical system and preliminary design is also available now!